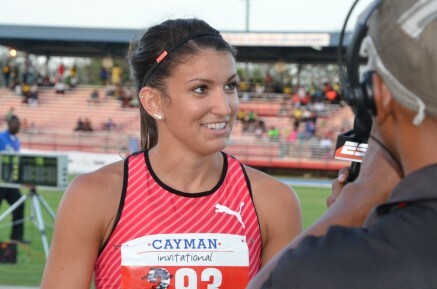 15th May 2016 – Jenna Prandini (USA) completed the sprint double at Cayman International in a very successful meeting for PACE athletes. Having earned record points for her Oregon Ducks while at college Jenna is no stranger to competing in multiple events but this was her first sprint double as a professional. She began her meet taking the 100m in 11.16 seconds before returning just under an hour later to dominate the 200m, winning in 22.63 seconds. Usain Bolt (JAM) began his campaign for the Olympic triple triple with victory over 100m. A solid race saw him stop the clock in 10.05 seconds with training partner Kemar Bailey-Cole (JAM) taking third place. Ristananna Tracey (JAM) clocked her third sub 56 second performance of the season when taking a convincing win in the 400m hurdles. After lengthy spells out with injury it was good to see both Jermaine Gonzales (JAM) and Michael O’Hara (JAM) back and competing again.